Amazing color and shape on this guy. 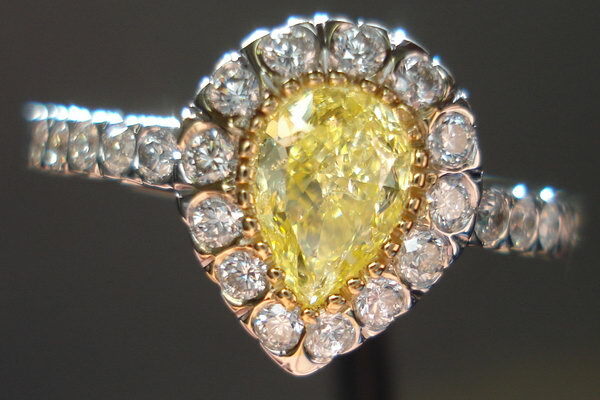 The depth is such that the diamond looks more like a .75ct than a half carat. This is a perfectly eye clean I1 diamond- you get all the benefits of the low price, and none of the downside- there's no imperfection to be seen. 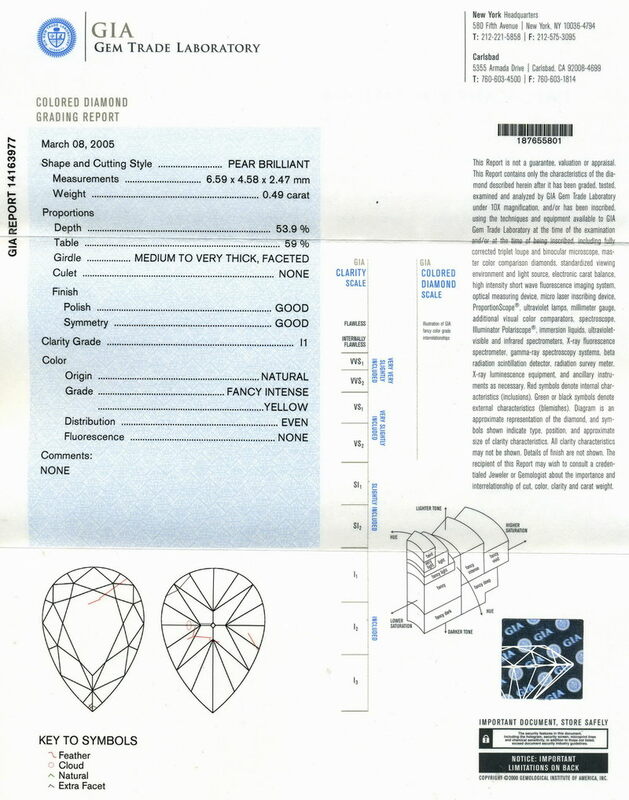 Actual photos of the Diamond and ring we are offering. The ring totally suits the diamond. 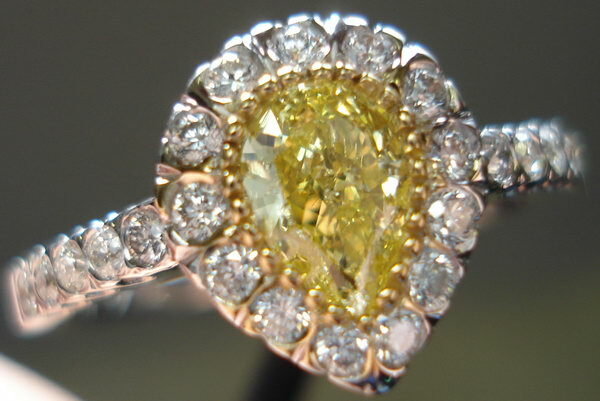 The setting on the center stone is very clean- the 18karat yellow gold we added helps make the yellow even yellow-er! 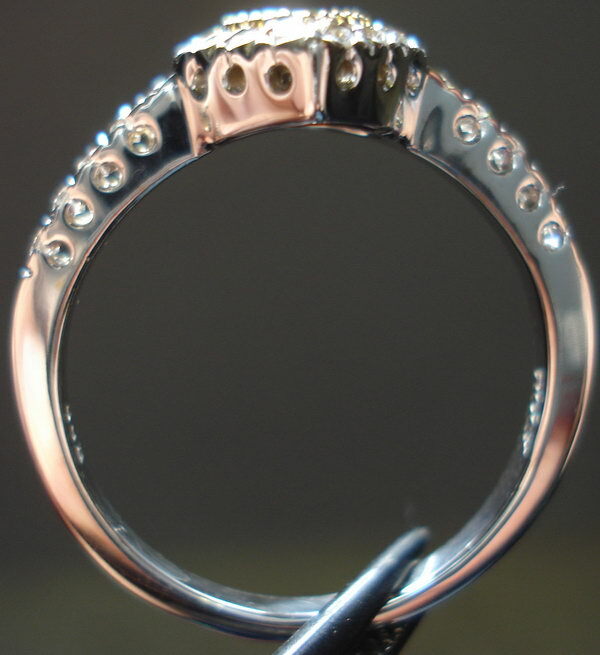 The setting is smooth to the touch and comfortable to wear. AS you may know we have a trade up program. Spend double on a new item and we'll purchase your first item back at full price. 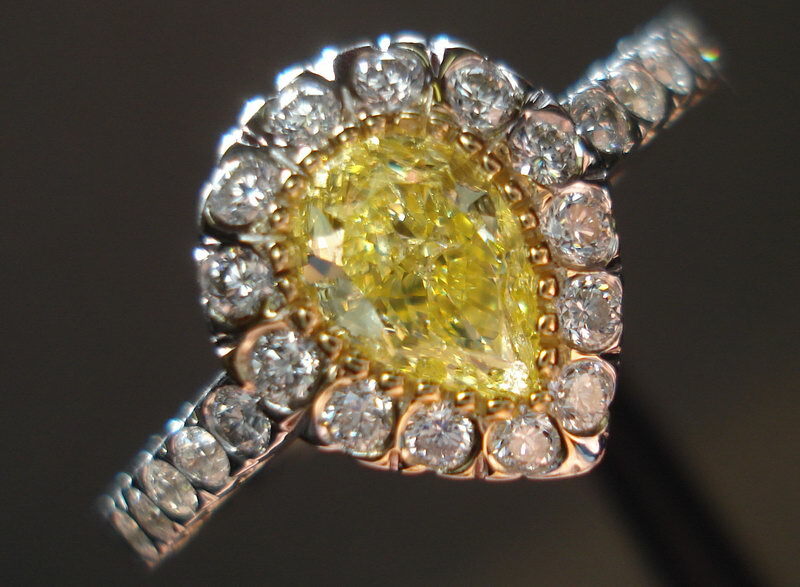 Of course, it has to be in good condition- the diamond can't have any chips or abrasions. The ring would have to be scrapped, if it showed a lot of wear. 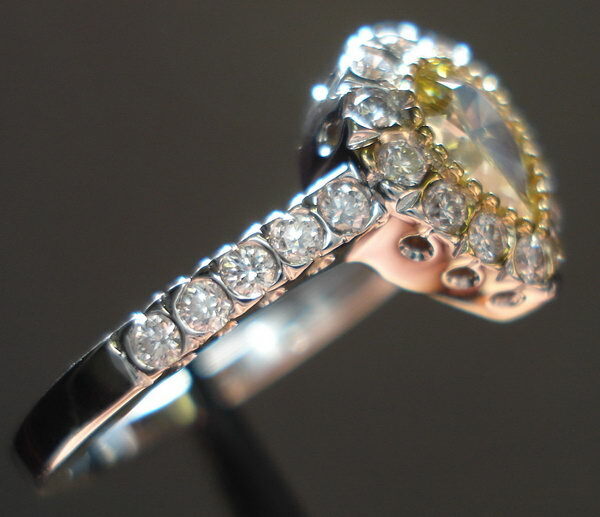 This one looks brand new- although it is a larger size than our average ring. The price is a bit less than it would be for a brand new ring.